College is a great time for exploration. For some people, it’s their first chance to learn who they really are and what they want in life. And for others, it can be the time to find the person with whom they want to share that life. It’s a chance to uncover that diamond in the rough. Here at Brilliance, we make it our goal to help start off your lives together in the best way possible. But we can’t always do that on our own. Knowing what you want and what will have meaning to you as a couple is an important part of creating the perfect ring. That’s why one customer impressed everyone here at Brilliance by making his custom engagement ring incredibly unique. Who doesn’t want one of those amazing stories of how you and your spouse met to tell your friends, children, and grandchildren? 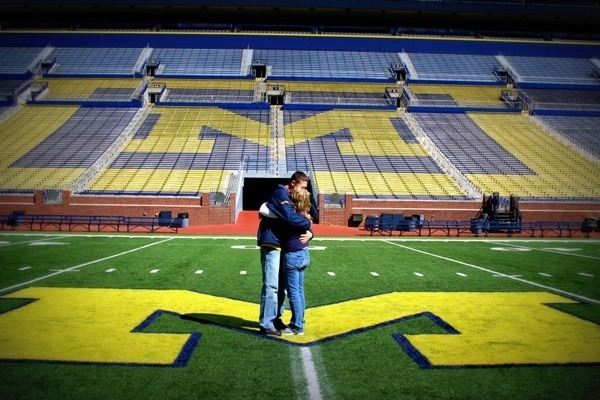 For Ryan and his fiancé, it was a college romance grown into lifelong love at the University of Michigan. And for them, the place was an important part of the story. So when Ryan came to us looking to create the perfect ring for his soon-to-be fiancé, he had an idea we had never seen before. 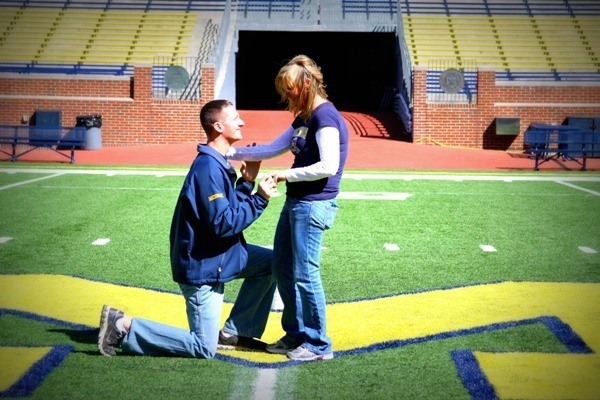 He wanted to incorporate the University of Michigan’s logo into the engagement ring. Now, we here at Brilliance know what you’re thinking. Why put a school logo on a beautiful, diamond engagement ring? Won’t that take away from the beauty and focus of the stone? And while we do have a customer is always right mentality, we also can say, honestly and without desire to placate anyone, that depends on where you put the logo. The gallery is a part of the ring where the shank and the setting meet, often in such a way that you can view the base of the diamond. Ryan decided to make use of this space on his custom ring, which is typically hidden from view when a woman holds up her hand to show off that rock. 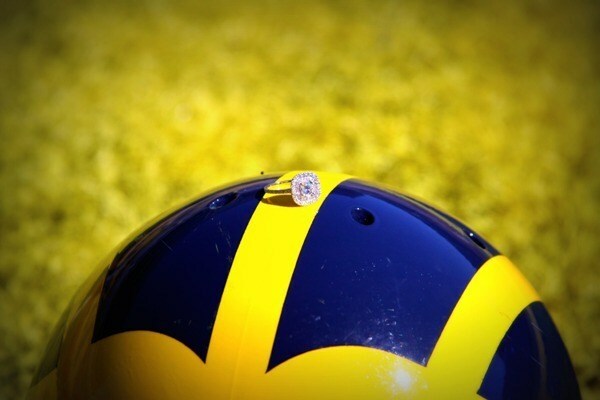 Here, he put the Michigan logo, a capital letter “M”, right below the diamond. This let the culet, or the point at the base of the stone, rest inside the valley of the letter, making the logo look like a natural part of the setting. Just as the University was a foundation for their relationship, the logo is a foundation for the diamond. The important part of the design is not that anybody else needs to see it, but that they know it is there, a simple, elegant reminder of their own story of love and companionship as they start a new phase of their lives together. The amazing success of this design made us think that if they could do it, why not others? If there is something important that you want incorporated into your ring, we would love to make it a reality. Give our Jewelry Experts a call at (866) 737-0754 and see what we can design for you today.